Benefits Of Rolling And Harrowing? What Grass Types Are Best? Want to make your own hay/haylage? How Can I Improve My Horse Sick Pasture? pH test the soil, if you are below 6.5pH a dose of Seactiv Calcified Seaweed will reduce acidity, increase palatability and add 32 natural trace elements to the grass. Rotate grazing paddocks frequently throughout the season, allowing approximately 6 weeks between grazings – divide fields temporarily if necessary. Cut ungrazed growth and spread toppings at least once a year. Manage horse droppings by picking up (wholly or partially) or harrowing. Control injurious weeds e.g. Ragwort by digging out and disposing of correctly. What Are The Benefits Of Rolling And Harrowing? Harrowing paddocks will spread horse droppings and distribute nutrients more evenly around the fields and help prevent grass rejection. Harrowing is best undertaken where paddocks can be rotated, and the droppings have time to be washed in by rain before re-grazing. Harrowing droppings on paddocks which are not rested or rotated could result in spreading harmful worm eggs and larvae. Spring-tine harrowing can pull out unwanted bent type grasses in the pasture and can be a good means of cultivating a slight tilth ready for overseeding with a specialist MVF horse/pony grass seed mixture. Rolling in the spring and autumn can push down divots caused by horses hooves, poaching the ground during wet weather (excessive poaching should be avoided by housing during the winter months, and periods of excessive rainfall). Poaching will allow annual weeds and poorer grasses to ingress on the original sown ley. What Grass Types Are Best For Horse Grazing? Mole Valley Farmer's Pony Paddock mixture has been specifically designed for ponies and horses. It contains approximately 50% timothy, meadow fescue and creeping red fescue to produce an extremely persistent, dense and hard wearing sward. The remaining 50% are productive perennial ryegrasses. Agricultural mixtures of grass seed should be avoided as these contain higher sugar, higher protein grasses which can result in obese horses and laminitis. A herb mix of 1 to 2kg/acre can also be added to the ley, adding valuable trace elements and minerals to the diet. For haylage chose Mole Valley Farmer's medium term cutting ley for horses which contains a mixture of productive Italian Ryegrasses, hybrid and perennial ryegrass together with some timothy and meadow fescue. This will produce large quantities of haylage for 3 to 4 years before it needs to be reseeded or overseeded. 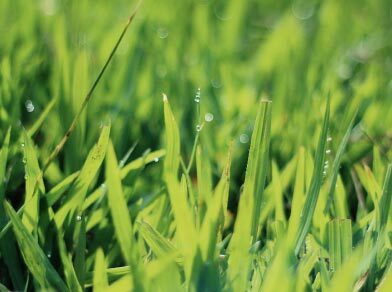 On areas prone to drought, poor drainage or shade, do I need different grasses? The same mixtures are recommended for these areas but it may be worthwhile draining/ditching wet fields. Overhanging trees and hedges may also need to be cut back. Drought conditions will obviously limit grass growth; it may be worthwhile looking at sub soiling land to increase depth of grass root growth to reduce the impact on grass growth in dry spells. Correct lime levels if needed. Reseed a new ley if the pasture has been down longer than 5 or 6 years to get the best haylage, (best to seek help from local contractor or farmer if you are not experienced yourself). Control weeds such as docks, thistles, buttercup, dandelion by the use of a herbicide (see weed control section). 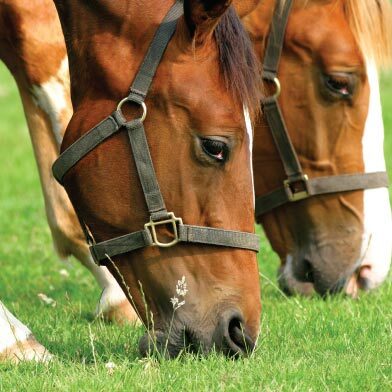 Fertilise with bagged fertiliser where necessary, Seactiv Horse and Pony Fertiliser is available in the branch in 25kg bags, this contains slow release N.
Cut the grass at the right stage to get the yield and quality you want. Normally desirable to be more fibrous than for high yielding cows or beef. Key to liaise well in advance of your requirements with your chosen farmer/contractor regarding cutting/picking up and wrapping your haylage. Some big balers are able to apply a specialist big bale inoculant additive such as Double-Action Ecobale to help reduce spoilage bacteria forming in the bale. For small quantities of haylage it is probably easier, cheaper and less risky to buy your haylage in store. How Too Safely Control Weeds In Your Pasture? Overseed with pony paddock mixture at ½ rate to fill in bare patches or after a spring tine raking – some contractors have combined tine rakes with seed broadcasters fitted. A light rolling after seeding will help seed to soil contact and improve germination. Dig out injurious weeds such as ragwort and dispose of vegetation safely. Remember dying Ragwort is poisonous and can kill livestock. The application of professional grassland herbicides such as Pastor, Doxstar Pro, Grazon Pro and Thistlex can only be carried out by a suitably qualified farmer or contractor, so where weeds are particularly bad you must use an S.Q.P. in your local area who can apply these products.